3B Alliance, LLC is an affordable, eBusiness Solution Provider for small to medium businesses. AreteXtm eCommerce Services is the flagship platform of systems of 3B Alliance, LLC. Visit our AreteXtm product site. Try it out. (Use the contact form to request more information!). AreteXtm automates complex payment processing, product delivery, and marketing. AreteXtm also integrates with other web-services. We believe that small to medium businesses should have the same access and control of their eCommerce as large businesses. To that end, our mission is to provide services that allow and encourage 1) the integration of good business practice with 2)the expandability of the business' footprint for growth and flexibility, 3) and include transparency in business transactions to foster trust. AreteXtm is a secure, server-based eCommerce solution, which performs and orchestrates a variety of digital transactions from sales and marketing to tracking and reporting. The product venues AreteXtm handles include digital goods, just-in-time products, warehouse fulfillment, as well as subscription management. AreteXtm consists of several interconnected systems. 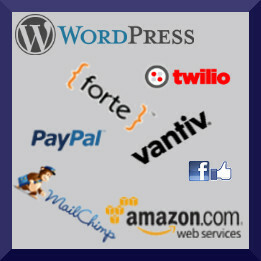 The functions include linked payment flow through a processing gateway (Vantiv is our preferred provider), automatic commission and royalty payment splits at point-of-sale, tracking and reporting of purchase and payment history, pre-approved delayed payment management, product delivery communications, a secure multi-level person and group user authentication and access control system, integration with email contact systems, and a product shipper notification/delivery system. And all of this functionality is set up and operated by the business owner through a central control panel. To see what AreteXtm can do for you - check out our AreteXtm Product Site to experience the breadth of eCommerce services available. Portico Gatekeeper Systemtm is an integrated, role based access control system that is customized to assit your business with Data Governance, Interoperability and Data Privacy. Single Sign-On capablity, using OAuth standards, provides ease of operation. This product works in conjuction with AreteX™ and must be customized to your business systems. Whether you want to understand your current eBusiness software interface, or have a new system custom designed for you - - 3B Alliance can help you integrate your business systems with our payment processing partners, gaining reliability, flexibility, and security. With an eye toward human factors, we specialize in helping "non-digital" business owners understand their eBusiness systems in the digital environment. Our current project is creating a WordPress plug in for AreteX™. Whether your business needs integrated membership or subscription management, a trouble-free e-store process, or an automated process for handling complicated commissions, royalties and vendors - - the AreteX Word Press plug-in will provide web site (and web app) creators and managers with an easily integrated e-business solution. From our business analysis in collaboration with LeeLogic, Inc., we then designed and built a fully integrated membership/data management system, called MobilLogic v3. It combines SAAS data organization with advanced search functionality, recurring reminders, and role based user access. For more information go to mobillogic.com. We created a Facebook application to encourage consumer engagement for Compass Media. The software tracked demographic data and consumer preferences, while generating permission-based, targeted leads. Opening possibilities for your business. Opening potential for your future. We are a privately held, small company that provides back-end, server-based software to give small to medium businesses the same access and control of their eCommerce as large businesses. Please use this convienent form to contact 3B Alliance, LLC.